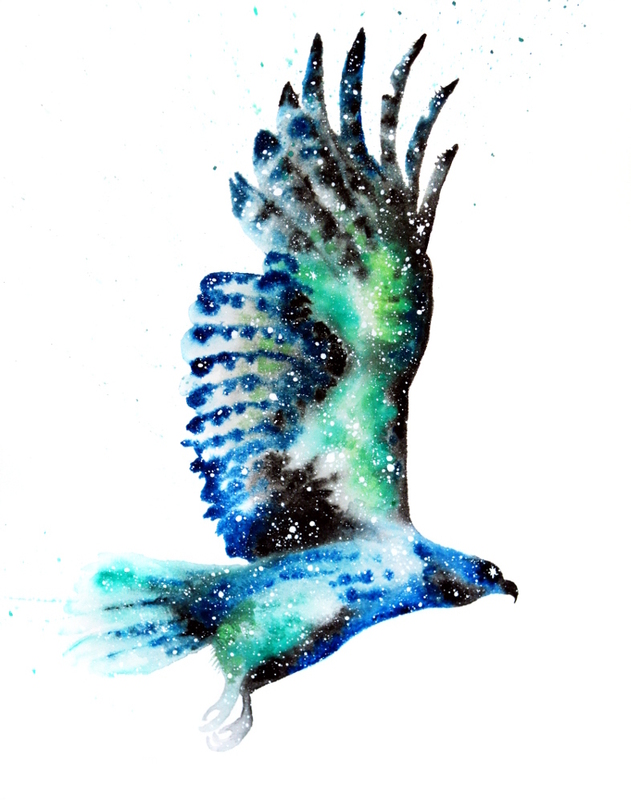 Hawk symbolizes truth, higher communication, and visionary power. Hawk is a messenger; receiving and interpreting messages to bring higher consciousness into your awareness and to those around you. As you choose to become more observant, you will gain the ability to see meaning in ordinary experiences. Hawk reminds you to free yourself of beliefs that limit your ability to soar through a boundless sky to gain greater perspective of an abundant existence. Specifically, Hawk helps you use a clear, focused vision to guide your actions to defy any obstacle. Hawk is an optimist who loves to share visions of bigger and brighter futures along with the ability to lead and influence others, but it’s not always easy to see what others are not ready to see or hear. Learn to share your message with others subtly, because being forceful will cause others to retreat. Practice your skills of observing and work on accepting things as they are, rather than forcing change. With these powers of observation you will take the lead when the time is right and have access to rapid spiritual development. I want to hear about your Hawk experiences. What stories or dreams have you had? Please share and join in the conversation below!